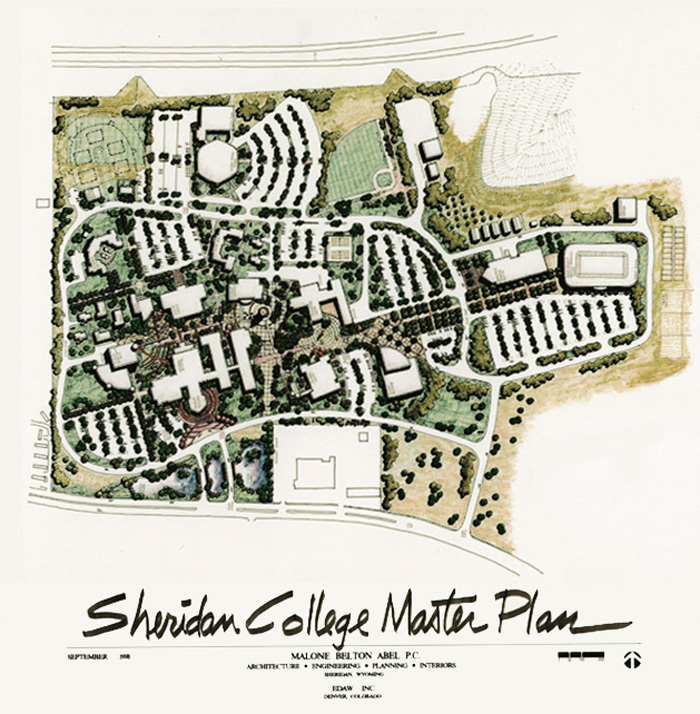 This master plan laid a solid foundation for future growth by combining a thorough inventory and assessment of the infrastructure and ideas present at Sheridan College with a comprehensive and imaginative look into the future possibilities of the institution. A major section of the 250-page 11” x 17” book, the physical distillation of the six-month process, was the Technology Master Plan, produced in cooperation with Andrew Milne of Quadrature Group. This information was essential in the transformation of the old Whitney Gym into the Center for Technology Enhanced Learning (CTEL), a project completed by our firm in 1999 but inspired by and recommended in this 1996 master plan. 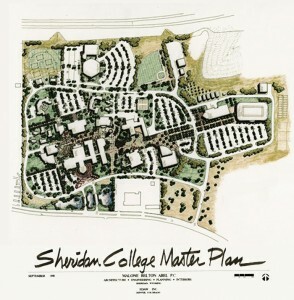 The overall campus master plan, suggesting changes in circulation, location of future building sites, and ways of creating a coherent campus, was completed in association with EDAW of Denver, Colorado. Our firm also established standards for future construction, and reviewed compliance with the Americans with Disabilities Act. Most importantly, we were meticulous in continually involving all members of the college community in the planning process. 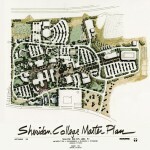 In 1998 our team was asked to update the plan. The Action Plan suggested in our document was followed and used extensively for ten years, the best indication of the value of the Master Plan.